If you don’t want a permanent tattoo, but there is an image you would like to wear on your skin for a short while, then you can get a temporary tattoo instead. This process is quite easy and it makes it simple to try out new designs. The day you get bored of it, you can remove it easily. You can get a different kind of tattoo depending on your mood, occasion and the message you wish to convey. The materials required are simply household things and some items from the craft store. So read on and you’ll learn how to make a temporary tattoo using eyeliner pencil and stencil. To make some great tattoos first figure out the details of the design that you want. Use pencil and paper to try out some ideas. Don’t go for a very complicated design; instead, keep it simple and bold. Go for a smaller tattoo, because that will look more authentic. Go to any drug store and purchase some eyeliner pencils. They should be smooth and dry, and you can get different colors to create accents. Don’t go for liquid eyeliner. Before you do your final tattoo, practice to determine the pressure you need to exert for creating smooth strokes. Once you’ve mastered using the eyeliner pencil, you can draw the tattoo on any part of your body, and if you don’t like the design it can be washed away easily. Use a cotton swab to blend colors and create shadows. Finally, spray some hairspray over the design to act as a sealant. Nail polish can also be used for this purpose. This design will begin to smudge in a day, or possibly sooner, depending on where it is on your body. Hand wash or soapy water can be used to remove the tattoo. If nail polish was used as a sealant, then you’ll want to use nail polish remover. You can also create the tattoo by making a stencil. If you don’t want want to rely on your artistic skill then its better to go for a stencil tattoo. Design the stencil by cutting an index card using scissors and a craft knife. You can use permanent marker for drawing the tattoo to keep it for a longer time. Be cautious with markers and make sure that they are skin friendly. Place the stencil against the part of your body where you want to draw the tattoo. 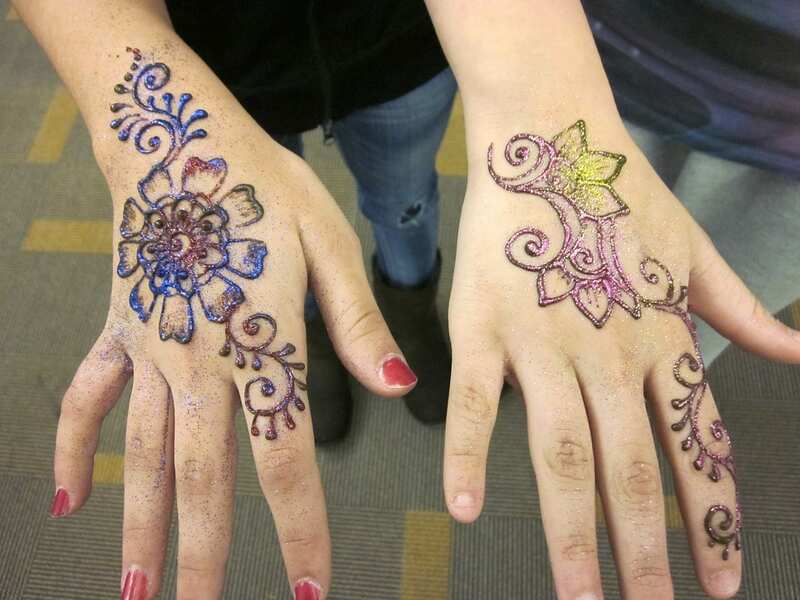 Use a marker to color the shapes by holding the stencil tightly against your skin. Once you have finished, lift the stencil and let the tattoo dry. It can be removed easily by using warm soapy water. Previous articleHow Long Do Henna Tattoos Last?